This blog deals with the best malware removal tool for 2019. The previous year has seen its share of security threats and there cannot be a better time than now to start using a malware removal tool to protect your PC(s) than relying on just the antivirus software. 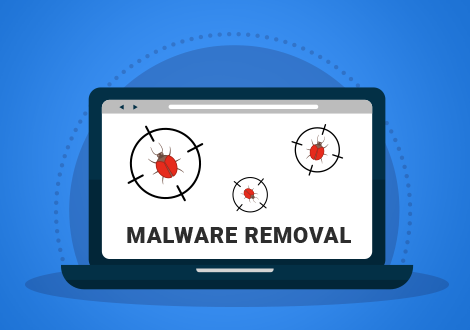 Malware removal tools are especially useful because the current cybersecurity threat landscape is so dangerous that the importance of malware removal provision can never be overemphasized. Therefore let's take a look at the list. With so many security features to protect your PC(s), the chances of malware infection are very minimal in the first place, and in any case, if it happens, you can seek the assistance of Comodo's security experts who will fix your computer within a matter of minutes. Default Deny Approach: This approach controls the entry of unknown applications into vital system files and folders until they are completely tested. It plays a key role in countering zero-day threats and modern-day sophisticated malware. HIPS and Viruscope: The Host Intrusion Prevention System (HIPS) together with Viruscope establish a PC monitoring system which makes sure that no malware enters your computer or survives in it for a very long time to do the damage. Advanced Firewall Engine: This feature helps in regulating the internet traffic in order to ensure that your computer does not get subjected to malicious software or content. Secure Shopping: This feature permits PC users to perform sensitive online transactions, like shopping and banking, in environments well-protected against zero-day threats and malware attacks. Rescue Disk: Security provision that runs pre-boot scans and keeps your PC safe against malware which targets your system even before the OS loads. Unlimited Malware Removal Support: Comodo’s security experts enable PC users to disinfect malware infections with a short span of time with no additional cost. Malwarebytes: Malwarebytes is the next best malware removal tool which you can use. With a 14-day trial period, the premium edition includes effective features like real-time scanning, specific protection from ransomware amongst others etc. , Although it may seem like Malwarebytes is a bit overpriced, it's worth every penny you spend and protects your PC(s) from various security threats. Bitdefender Antivirus: Simplicity is the key of BitDefender. With an easy to use interface, flexible customization facilities, and easy scanning options, it is definitely one of the least complicated and yet effective malware removal tools around. Pretty useful for all PC users(s) in general and the less-tech-savvy in particular. Kaspersky Anti-Malware Protection: Though sidelined by US government, this antivirus giant is still in the business and contains one of the most powerful malware removal tools. Having been around in the industry for quite some time now, users can expect solid PC protection from this security software and impressive backup in case their PC(s) get malware infected. Avast Antivirus: Equipped with heuristics engine, smart scanning and sandboxing capabilities, Avast is the last in this list. It runs in the background without causing much issues to the PC users and is pretty lightweight. This means your PC performance does not go down as the burden on your CPU is less. Works well with various operating systems and has been around for a long time just like Kaspersky. All the more reason to use it. Hope our best malware removal tool was of help to you. You can use any one of these malware removal tools to protect your PC(s). Each of them is unique in their own way. For example, Comodo impresses with its innovativeness and impressive security, while Malwarebytes and BitDefender with their flexibility and ease of use, and Kaspersky and Avast with their vast experience they invest in their products. Download one of them and keep your PC(s) safe against malware and other such security threats.